When I first came to Grasmere, or rather, to Town End, as a volunteer at the Wordsworth Trust, the other young volunteers had been busy asking themselves ‘What Would Wordsworth Do?’ and meditating on the practice of ‘Walking with Wordsworth Daily.’ These became things I often thought on, especially on those short dark Winter afternoons of my High Sykeside attic-life. Sometimes the meditation did not reach far enough and I had to ask myself ‘What Would Dorothy Wordsworth Do?’ or even, sometimes, ‘What Would John Wordsworth Do?’ (but only at my very darkest moments, as we all know how that goes). 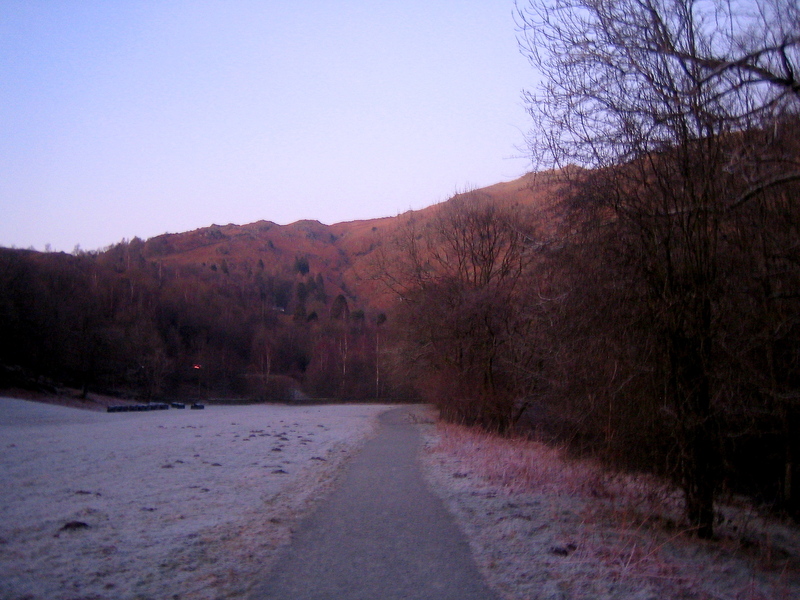 I regret I have been asking myself these questions (or certainly the first two) with increased frequency in the last year as I have, with many other baffled residents, watched Go Lakes and the Lake District National Park Authority push through plans to ‘improve’ the area around Rydal and Grasmere. Improve, you say? That sounds marvellous! I wish I could share with you the earliest projections of the huge boulder wall they were wishing to build along the beach at Grasmere to run the cycle-path along, but we were told they would take legal proceedings against us if we did, so I’m afraid you’ll just have to imagine it. It looked something like the cob at Lyme Regis, wedged between the turf and the shingle beach at the south end of the lake. Delightful! Most of these plans have already been carried out, because clearly they were going to spend their EU money as they wished to, regardless of any opposition. You can trace a partial (very partial) history of the developments through some classic Westmorland Gazette Stories, such as this. Earlier in the planning stages, a new bus stop and crossing at White Moss Common had been included but these plans were scratched. I thought. This week I realised with they had actually been superseded by plans for even more improvements! These include trebling the size of the toilet block, and basically turning White Moss – common land – into a heavily urbanised visitor centre, akin to Brockhole. In my consternation I rushed down to White Moss, which, connecting the lakes of Rydal Water and Grasmere along the river offers some of the most lovely low level walking in this area, in order to hug a, or several, trees. This, I thought, is what Dorothy Wordsworth would do. I was just about to lie down in a ditch to imagine myself dead, when I spotted this poem pinned to a sturdy beech tree. for ‘improvements’;–how can they now endure? of cafes in green fields at random thrown? Some concerned parties might encourage you to write to the planners to express yourself in sensible prose. The kind which can’t be accused of hysteria, sentimentality or NIMBYism. Please find below comments on the proposed enhanced-mega-toilet-experience in White Moss. I had assumed this planning application would not be recommended for approval as it is too close to a GCSE Geography case study on why we have a long history of conservation movements. If this goes ahead, the National Park can no longer suggest it ‘balances’, ‘enhances’ or indeed ‘protects’ the uniqueness of the area. 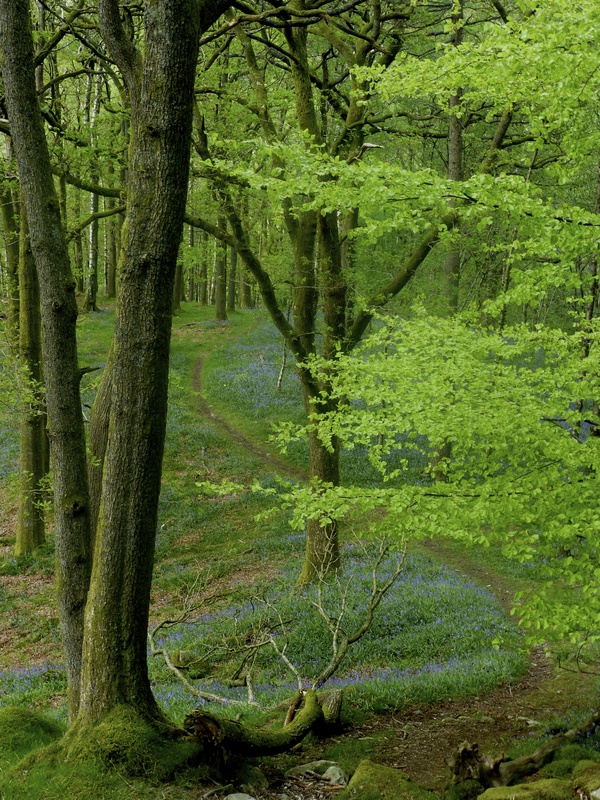 The recent Lake District National Park Management Plan suggests a wish to protect ‘harmony’ of the environment. Does anyone at the LDNPA or the Lowther Estate know what this is? Any extension to a toilet block which is a new shop and a café is a money-making venture. Calling it a Hub is a way to avoid the unfashionable and under-supported Tourist Information Centres that are continually disappearing. If the toilet cannot be adequately funded then let the parish council take control of it. The character and the quality of the environment would be affected by this development. That the development committee report thinks otherwise illustrates the inability to recognise environmental value. The appearance of a large glass building and some tarmac will also not help ‘describe’ the area to visitors. If it is not unified, this is because it is a complex environment of overlapping cultural landscapes and not a modernist homogenous utopia. An extension to the toilet block should not be 3.3 times the size of the initial building. It is not simply “convention” that suggests otherwise, but a blatant illustration that this change of visitor service is a badly disguised, wholly new development. Those currently using the toilet are probably not thinking of craft workshops to improve their experience. Perhaps we might also move Dove Cottage to White Moss to extend the toilet? It would also enhance the visitor experience within the car park? It is unclear from any of the supporting materials for this application that anyone proposing this development understands what the word sustainable means. The perception that this area needs to change is stronger than the need for change. For some tasks, prose however is not enough. How did these scraps come to be at White Moss Common? When will one or other of them be reconstructed as a brass plaque and nailed to a rock at the site of its discovery? Is the Great Sage with us still? Does the ghost of Wordsworth haunt these woods now as he haunted them in the early years of the nineteenth century? And possibly all the time between then and now? More importantly, can he save us again? EDIT: In a rare moment of planning righteousness, the ‘Hub’ was turned down 12-2 on 5th November. I imagine the protests detailed above were the deciding factors.